Beautiful Couple Rakhi Set that is full of affection and your love will surely bring a smile on your Bhaiya Bhabhi’s face. 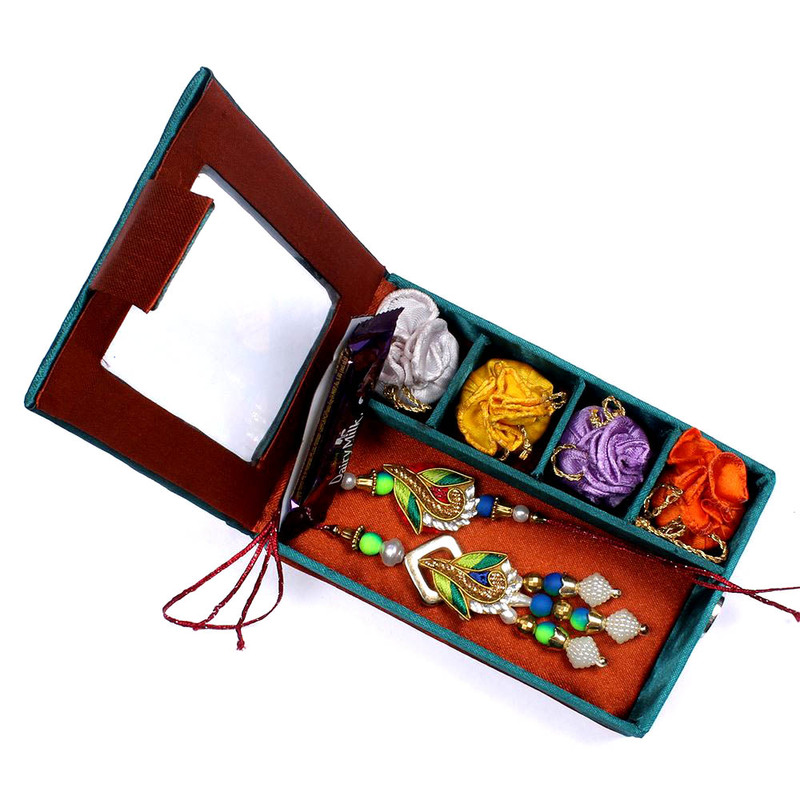 A Rakhi Set: Peacock Pattern Designer Bhaiya Bhabhi Rakhi. A beautiful Rakhi Greeting Card. Beautiful Designer Rakhi Gift Box.